Georgia Nelson joined Ball Corporation’s board of directors in July of 2006. She is president and CEO of PTI Resources, LLC, an energy and environmental consulting firm. Ms. Nelson also provides executive coaching services to senior executives. She is the former founding president of Midwest Generation EME, LLC, an Edison International company headquartered in Chicago. Midwest Generation is a large independent power generation company. In her 35 years at Edison International, Nelson served as general manager of Edison Mission Energy – Americas, was senior vice president of worldwide operations for Edison Mission Energy and held executive responsibilities for Edison Mission Marketing and Trading, Inc., a Boston-based energy marketing and trading subsidiary. She also was a senior executive with Southern California Edison, a large U.S. electric utility. 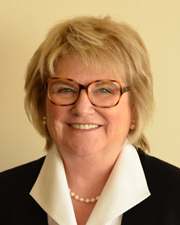 In addition to her directorship with Ball Corporation, Nelson serves as a director of Cummins Inc., TransAlta Corporation and Sims Metal Management Ltd. She was formerly a director of Nicor Inc., Tower Automotive and CalMat Corporation. Ms. Nelson also serves as a director of CH2MHill, a privately held company. She is a former trustee of the Manufacturers Alliance. She serves on the advisory committee of the Center for Executive Women at Northwestern University and formerly served on the Women’s Advisory Board of the JFK School of Government at Harvard University. She is a member of numerous organizations including The Commercial Club of Chicago, The Economic Club of Chicago and The Chicago Network. Ms. Nelson holds an MBA from the University of Southern California and a bachelor’s degree from Pepperdine University, Malibu, Calif.